There's nothing better than when two of your favorite celebrities start flirting, but sometimes, it can often just be wishful thinking. 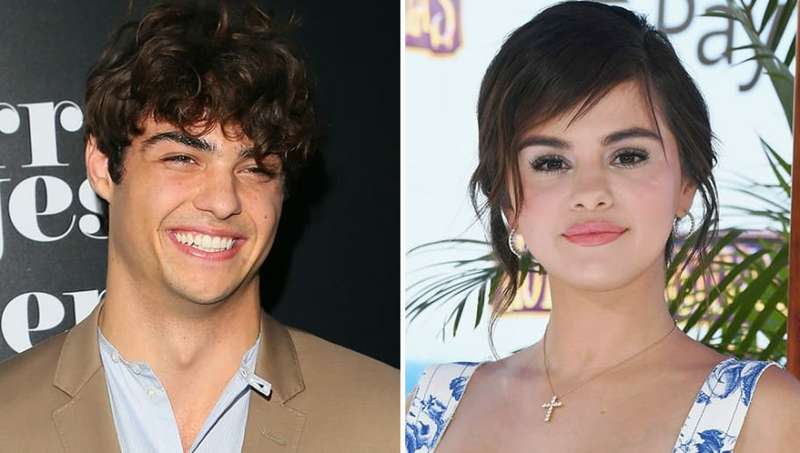 This might be a solid example of that, as one cute comment from Noah Centineo has fans believing he needs to date Selena Gomez ASAP. However, we don't know if they've ever even talked before. In the comments section of an old photo of Selena that her former manager Nick Styne posted, Noah boldly wrote, "Bahhhhh she's gorgeous." He's not wrong, and fans quickly noticed his sweet comment and had to respond. According to Elite Daily, people began rapidly replying to Noah, with comments like, "O my gad please call her, I ship sm" and "ask her out! You both would look so cute." Someone even went as far as to suggest a celebrity couple name for the two: Nolena. Eh, could be worse! Diehard Noah fans might already know that he is a huge fan of the singer/actress. While speaking to Seventeen in September, the actor gushed about how much of a celebrity crush she is to him. "Selena Gomez seems like one of the coolest people ever," Noah confessed. "And she's an activist, as well. And clearly she loves love and is a loving person. I don't know if it's clear because I don't know her, but it feels that way." Okay. Someone is crushing HARD! Despite the four-year age difference between the two, it wouldn't be the wildest idea for Selena, 26, and Noah, 22, to date. I guess it's time for fans to really hope and pray the two get cast in the same movie or TV show together, and sparks fly! It could happen.